Localizing your Social media content allows you to reach your customers from anywhere in the world with an influential appeal each time. For instance when a company localizes its Facebook page specific to different countries around the world, it allows the brand management department of the company to advertise summer clothes in the UAE while still promoting winter apparels and accessories in Canada. Their marketing becomes specific to each niche but in a very convenient manner, all due to the localization of their social media campaigns. Before you start your localized campaign, make sure you’ve defined the local market properly. 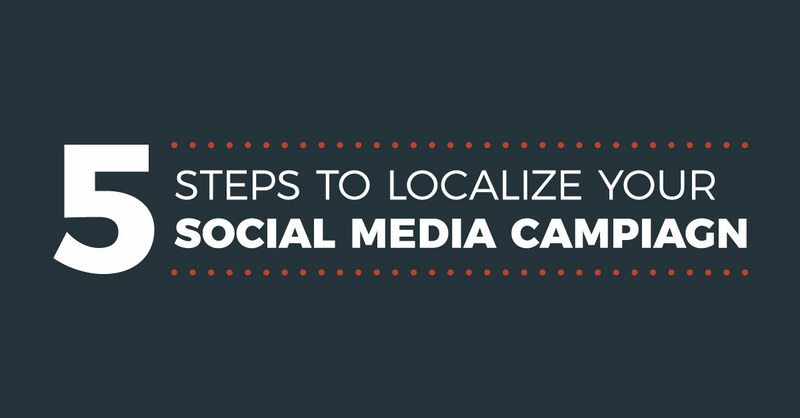 Check the 5 steps to localize your social media campaign. previous5 Million Words Translation in 10 days!